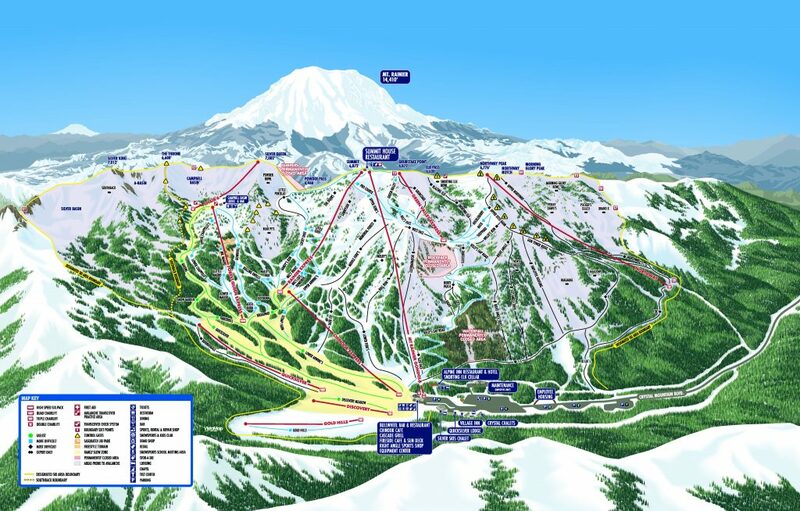 Located just northeast of Mt Rainier, Crystal Mountain is the largest ski resort in Washington and is very convenient to Seattle skiers. 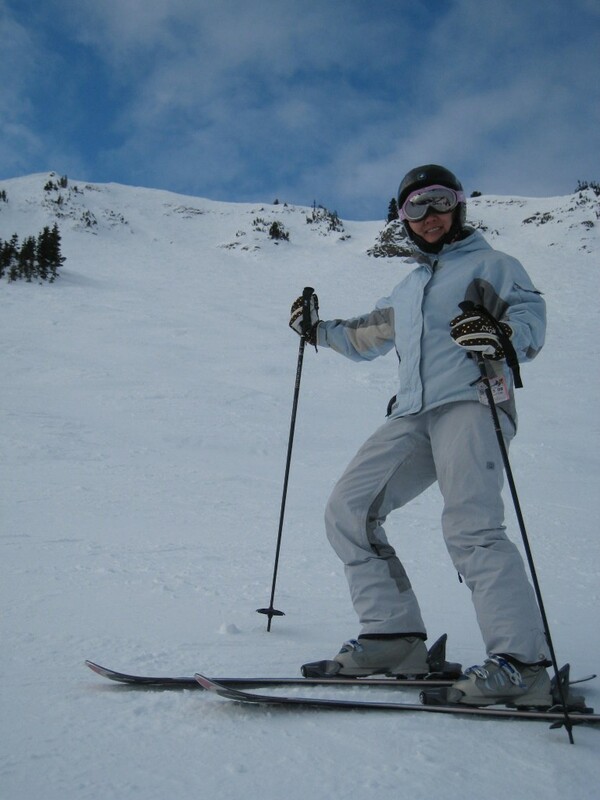 In December 2009 there wasn’t much snow in Tahoe, so we headed up to the Seattle area to visit some friends and ski. The week before several feet of snow had fallen, but of course the night before we got there it rained and froze hard, so the snow wasn’t that great. However, we can see the potential of this place even with less than ideal conditions. The base area is at a pretty low elevation, just above the snow line. This makes travel there easier than in Tahoe where you always have to go over a pass to get to the ski area. The Northway lift base is actually even lower than the parking lot, but it was closed due to the icy snow conditions. Like many resorts, most of the action is on the upper mountain. The Forest Queen express seems to have the best intermediate terrain and is very popular. As you go more to lookers right, the runs get steeper and shorter. The Rainier Express is a great lift with some nice groomers. Green Valley is a short lift with a big open bowl at the top. The most notable thing about Crystal is probably the steeps. The snow is heavy and sticks to the steep slopes making them skiable as long as the conditions are not icy. When we were there the High Campbell lift was running and we were able to sample one of the runs up there that wasn’t as icy. That lift was destroyed by an avalanche in March 2014 but I’m sure they will be rebuilding it. We can only imagine what it must be like with a few feet of fresh light snow. The whole upper mountain would be skiable opening up all 2,600 acres. This is similar to what happens in Tahoe in the Spring when the first couple of days after a dump are awesome, but then the off-piste often gets cruddy and unskiable a few days later if it warms up and freezes at night. At the top of the Forest Queen Express there is a great lodge and restaurant surrounded by high peaks that make it look just like Colorado or Utah. There are also lodges and restaurants at the top of the Gondola and at the base area. The Gondola wasn’t there when we were there. They have recently spent $30M to upgrade lifts and buildings so this place is getting even better. If we lived in Seattle we would probably be getting season passes to Crystal due to location, vertical drop, and infrastructure. 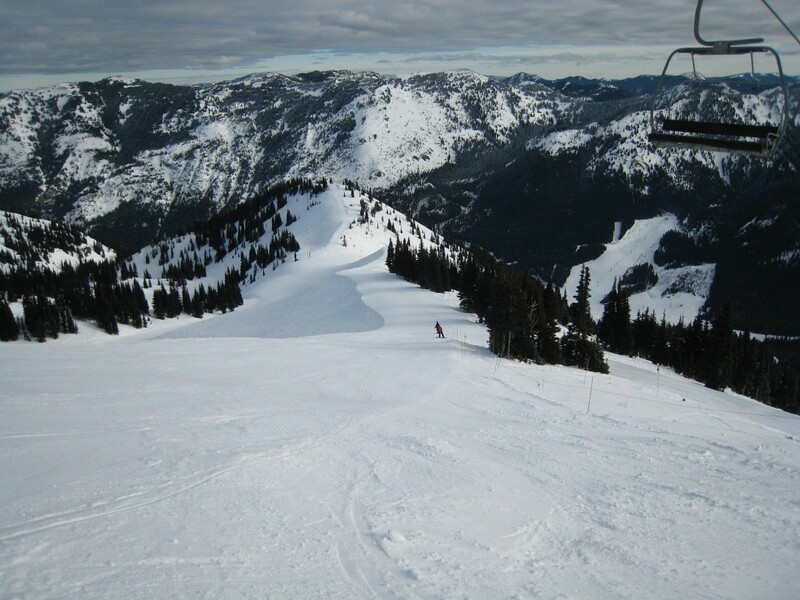 Crystal is the best resort we skied in Washington state. Still, we have to give it a 3 out of 5 instead of a 4 due to the layout which does not provide enough intermediate terrain. There is a lot of easy stuff at the bottom and hard stuff at the top, but the intermediate groomers are just not very plentiful given the number of acres of terrain available. Location and ease of access are great. The views of Mt. Rainier on a clear day are very memorable. Steep terrain is plentiful and with almost 500″ of annual snowfall you won’t often be hitting rocks. There are a lot of high speed lifts and great infrastructure. Crystal is located in the Cascade mountain range, which is close to the Pacific ocean which means that it often rains there. 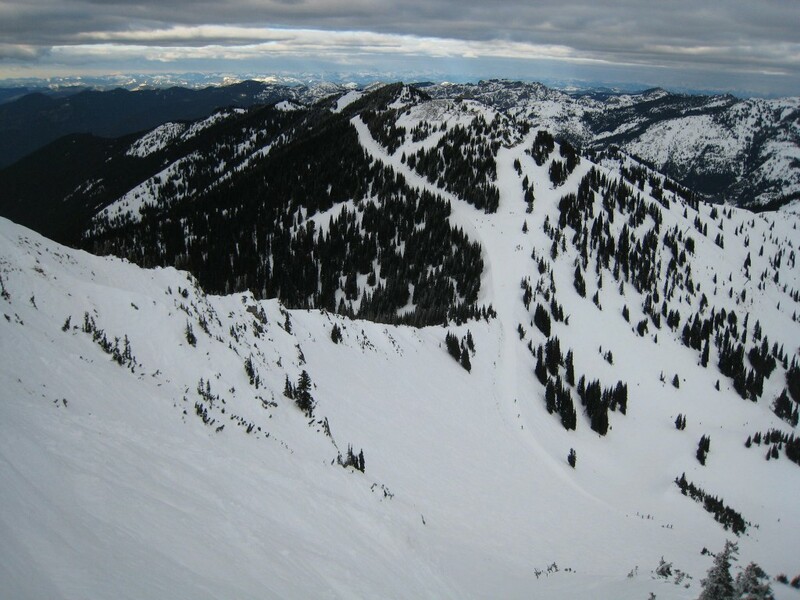 Many of the resorts in the Pacific Northwest are this way, from Whistler down to Mt. Bachelor. Seems like every time we ski up there we get rained on at least one day. This means either slush or ice depending on whether it’s raining or clear and cold. As mentioned in the review, Crystal is not as kind to intermediate skiers as some other places. If we lived in Seattle this would probably be the place we would be skiing at the most. Between Crystal and Steven’s Pass I think Crystal has the edge. 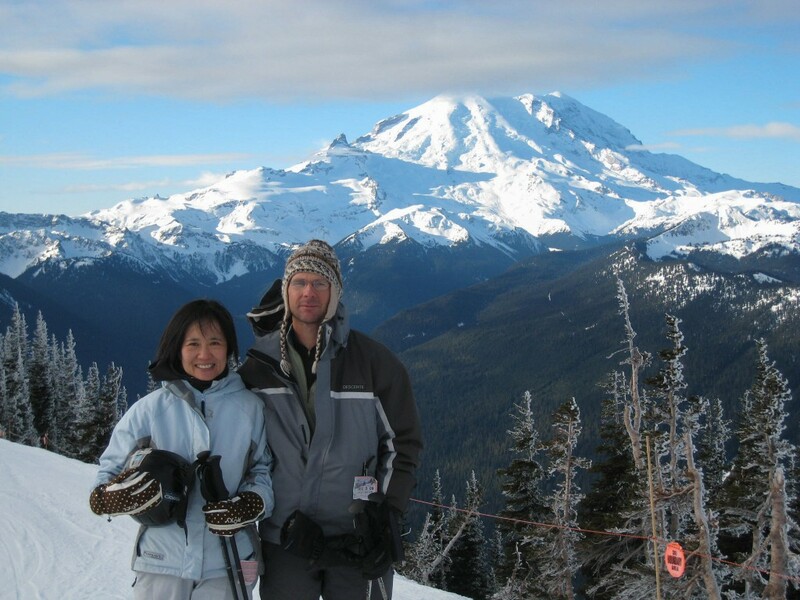 If we go back up to Seattle for another ski trip we will definitely ski at Crystal, but for us it’s probably not worth a special trip as a destination due to the variable snow quality.